Two Bodies - One suicide. One cold-blooded murder. Are they connected? And who's really pulling the strings in the small Swedish town of Gavrik? Two Coins - Black Grimberg liquorice coins cover the murdered man's eyes. The hashtag #Ferryman starts to trend as local people stock up on ammunition. Two Weeks -Tuva Moodyson, deaf reporter at the local paper, has a fortnight to investigate the deaths before she starts her new job in the south. A blizzard moves in. Residents, already terrified, feel increasingly cut-off. Tuva must go deep inside the Grimberg factory to stop the killer before she leaves town for good. But who's to say the Ferryman will let her go? 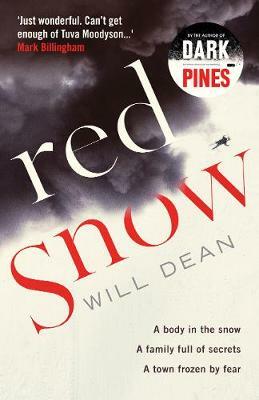 Red Snow is by Will Dean. A psychopathic former Israeli spy, Agent 10483 is busy trying to shut down the spy organisation he once worked for. At the same time, he is plotting his revenge on the individuals he deemed responsible for betraying him, and trying to hunt down a nuclear warhead. It cannot end well. Everyone wants to get their hands on him: the Organisation, two assassins working for Herr Schmidt, who is also trying to get hold of the warhead, and Carmit, who has quite literally been messing with his brain. 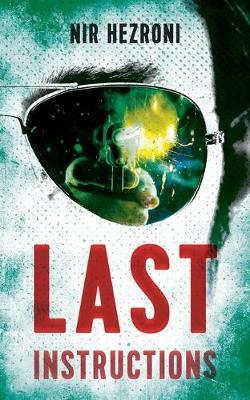 Offering a fascinating behind-the-scenes glimpse into the technology of high- level intelligence operations, Nir Hezroni's dark thriller Last Instructions is a chilling exploration of a dark psychotic killer. It took sacrifice, pain, and more than a few dead bodies, but Lola has clawed her way to the top of her South Central Los Angeles neighbourhood. Her gang has grown beyond a few trusted soldiers into a full-fledged empire, and the influx of cash has opened up a world that she has never known. But with great opportunity comes great risk, and as Lola ascends the hierarchy of the city's underworld she attracts the attention of a dangerous new cartel who sees her as their greatest obstacle to dominance. Soon Lola finds herself sucked into a deadly all-out drug war that threatens to destroy everything shes built. But even as Lola readies to go to war, she learns that the greatest threat may not be a rival drug lord but a danger far closer to home: her own brother. 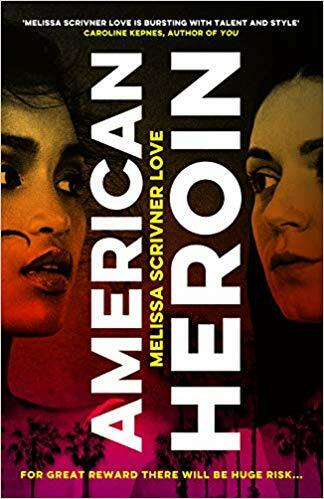 American Heroin is by Melissa Scrivner Love. The Unmourned is by Meg and Tom Keneally. Not all murder victims are mourned... For Robert Church, superintendent of the Parramatta Female Factory, the most enjoyable part of his job is access to young convict women. Inmate Grace O'Leary has made it her mission to protect the women from his nocturnal visits and when Church is murdered with an awl thrust through his right eye, she becomes the chief suspect. Recently arrived from Port Macquarie, ticket-of-leave gentleman convict Hugh Monsarrat now lives in Parramatta with his ever-loyal housekeeper Mrs Mulrooney. Monsarrat, as an unofficial advisor on criminal and legal matters to the governor's secretary, is charged with uncovering the truth of Church's murder. Mrs Mulrooney accompanies him to the Female Factory, where he is taking depositions from prisoners, including Grace, and there the housekeeper strikes up friendships with certain women, which prove most intriguing. Monsarrat and Mrs Mulrooney both believe that Grace is innocent, but in this they are alone, so to exonerate her they must find the murderer. Many hated Church and are relieved by his death, but who would go as far as killing him? The Chemical Detective is by Fiona Erskine. Dr Jaqueline Silver blows things up to keep people safe. Dr Jaq Silver. Skier, scientist, international jet-setter, explosives expert. Working on avalanche control in Slovenia, Jaq stumbles across a problem with a consignment of explosives. After raising a complaint with the supplier, a multinational chemical company, her evidence disappears. Jaq is warned, threatened, accused of professional incompetence and suspended. Taking her complaint to further, she narrowly escapes death only to be framed for murder. 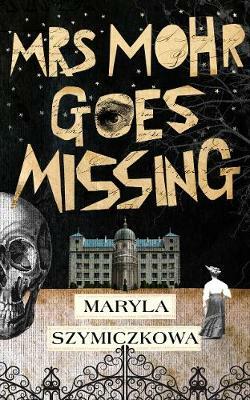 Escaping from police custody, she sets out to find the key to the mystery. Racing between the snowy slopes of Slovenia and the ghostly ruins of Chernobyl, can she uncover the truth before her time runs out? Cracow, 1893. Thirty-eight-year-old Zofia Turbotynska has assured her husband's rise through the ranks to university professor and is now looking for something to fill her long days at home. To stave off the boredom and improve her social standing, she decides to organise a charity raffle. To recruit the requisite patronage of elderly aristocratic ladies, she visits Helcel House, a retirement home run by nuns. When two of the residents are found dead, Zofia discovers by chance that her real talents lie in solving crimes. The examining magistrate's refusal to take seriously her insistence that foul play is involved spurs her on to start her own investigation, recruiting her quick-witted servant Franciszka as her assistant. With her husband blissfully unaware of her secret activities, Zofia ruthlessly follows the clues and gradually closes in on the truth. Drawing on Agatha Christie and filled with period character and charm, Mrs Mohr Goes Missing is by Maryla Szymiczkowa and vividly recreates life in turn-of-the-century Poland, confronting a range of issues from class prejudice to women's rights, and proving that everyone is capable of finding their passion in life, however unlikely it may seem. turn when early on All Saints Day the course administrator is discovered murdered in the hall. Why would anyone, dead or alive, want to kill mild-mannered Graham? The Essex Witch Museum investigators are quickly drafted in. As Rosie Strange and Sam Stone's investigation progresses they find more questions than answers: who is making the unearthly howling noises late into the night? What is the strange glimmering glimpsed in the woods about the Hall? Why is one of the church crusaders missing a finger? And what of the enigma of the ancient empty tomb? 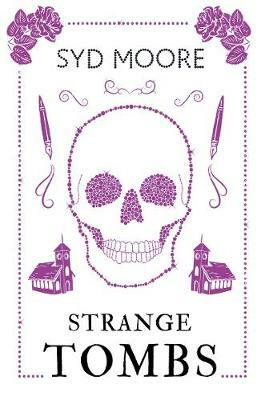 When another one of the writers turns up dead the pair must use their experience of folklore, mystery and magic as well as their wits to solve the mystery before the body count grows. If only death came with a warning… Flirtatious American blonde, Miss Hailey Duke, should never have accepted a summer weekend invitation to Fontaburn Hall. But when the Honourable Archibald Cooke Wellingham’s gentrified house party are woken, in the early hours of Sunday morning, it’s too late: Miss Duke’s blood is on their hands. 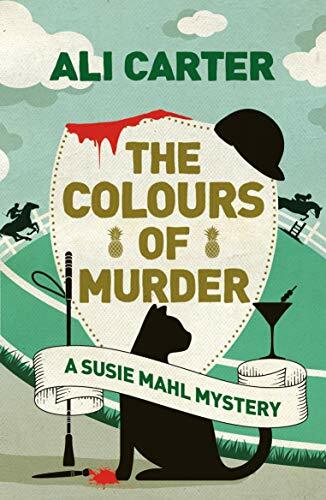 With the aid of well-mannered Detective Chief Inspector Reynolds, intelligent Sergeant Ayari and loyal friend Dr Toby Cropper, Susie Mahl, on a timely commission drawing six racehorses nearby, seizes the opportunity to play detective for a second time. Her inquisitive nature, tenacity for truth and artist’s eye for detail make her ideally suited to the task in hand, but is she getting carried away by her previous triumph - even to the extent of endangering her reputation and her burgeoning relationship with Toby? The Colours of Murder is by Ali Carter. The Van Apfel Girls are Gone is by Felicity McLean. 'We lost all three girls that summer. Let them slip away like the words of some half-remembered song and when one came back, she wasn't the one we were trying to recall to begin with.' Tikka Molloy was eleven and one-sixth years old during the long hot summer of 1992, growing up in a distant suburb in Australia surrounded by encroaching bushland. That summer, the hottest on record, was when the Van Apfel sisters - Hannah, the beautiful Cordelia and Ruth - mysteriously disappeared during the school's Showstopper concert, held at the outdoor amphitheatre by the river. Did they run away? Were they taken? While the search for the sisters unites the small community, the mystery of their disappearance has never been solved. Now, years later, Tikka has returned home, to try to make sense of that strange moment in time. The summer that shaped her. The girls that she never forgot.